Erin McDermott is my absolute favorite millennial mom. She launched a super successful jewelry biz right out of her Myers Park home. She can rock a pair of overalls while holding a babe on her hip. Her instagram feed is absolutely adorable – whether she’s draping her English bulldog “Sukie” in her fab gems, or jet-setting to a friend’s wedding, or designing her next jewelry must-have, Erin McDermott oozes cool and seems to breeze through motherhood at ease. 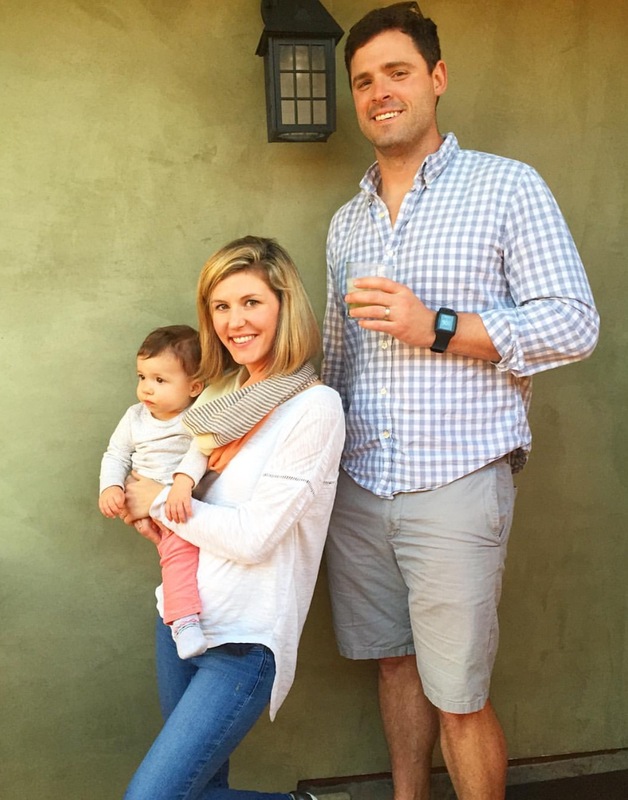 We adore Erin’s fabulous sense of style, her amazing creativity, her precious personality and everything about her gorgeous family that is soon to be expanding. Smarties, I’m thrilled for you to get cozy with the AMAZING Erin McDermott! 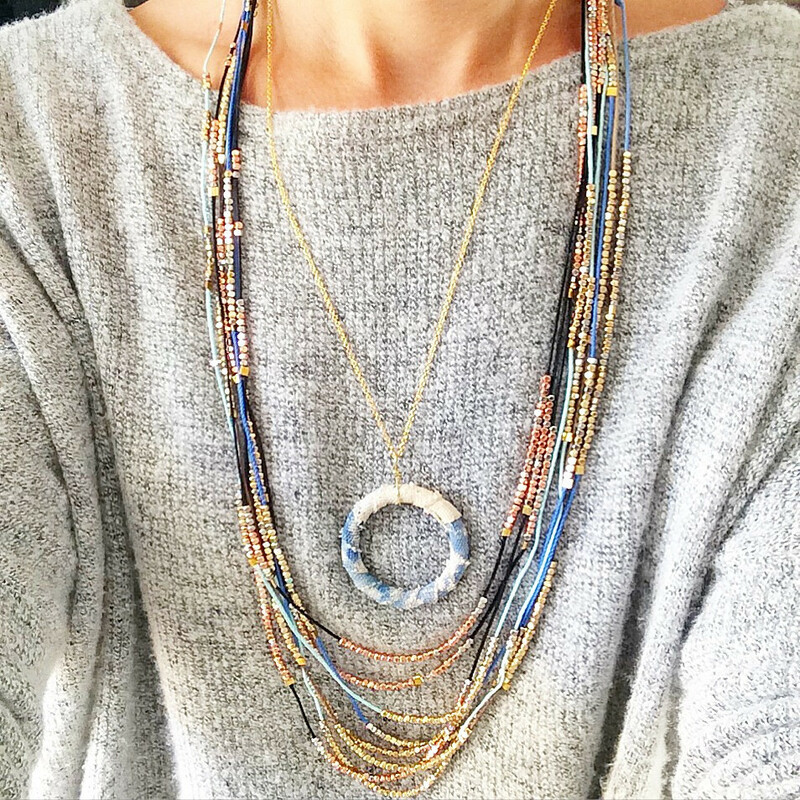 Tell us how Erin McDermott Jewelry was born. I started by making jewelry for friends and while I was in college, I took a class in NYC at Fashion Institute of Technology. There, I learned the ins & outs of jewelry making and I was hooked. What are your must-have jewelry fashion pieces for the summer? Where can CSP readers get EM gems? Girls line? Tell us about this. YES! This has been so much fun! 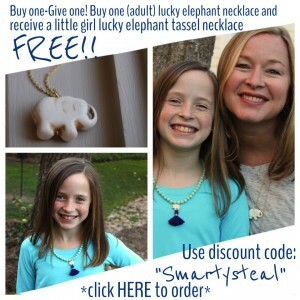 I found that girls wanted to be just like their mamas and would always take their mom’s jewelry to play with and wear, so I decided to make a special line for kiddos! We heard you are known to have some flash sales? Any tips as to when to check in to make sure we don’t miss them? Absolutely! These are the best! Every Thursday – all day – and ends at midnight. Make sure to follow on instagram: erinmcdermott1 or Facebook: Erin McDermott Jewelry to stay updated. You are pregnant with your second child. Tell us what you are looking forward to the most? I can’t wait to have sisters! What do you fear the most with your second? What is your favorite piece of baby gear? Where do you buy your baby gear? I’ve been so lucky to have been passed down lots of clothing/items from my older sister and friends who are finished having babies. They grow so quickly, it’s awesome to use hand-me-downs. What’s your favorite line of clothes for Coco? Shoes? I’m in love with kids’ shoes – Coco has quite the assortment! Uggs, Air Jordans, Stan Smiths, Vans, Chuck Taylors….she’s usually the baby with the crazy wild polka-dot dress, striped leggings, and high top sneakers. I like to mix it up with her. What is your favorite toddler activity in town for Coco? Just walking and watching her take in the world! We love to walk up the street to Reid’s or to get yogurt at TCBY and play by the fountain. She’ll stop at every flower, pick up every stick and wave to everyone passing by. We love to go to Sunflour Bakery on Saturday mornings. Favorite place to buy mom’s clothes? I’ve actually found lots of maternity pieces at Denim House – they don’t carry a maternity line, but I love their long t-shirst and some dresses and they can fit over a belly bump. When I’m getting ready for a night out, I always heat up my eyelash curler with a hairdryer. It makes my lashes stay curled better and for a longer amount of time! I guess it’s like hot curlers for your hair. Behavioral trait you hope your kids don’t inherit from you. Oh geez – where do we start? My craziness for sure! I’m also a French Citizen. Last meal you cooked (include recipe). 704.527.0702 – That’s the # for Portofino’s Pizza. Cooking hasn’t been happening lately. 1 jar of nutella, 1 jar of peanut butter, and 1 spoon. enough said. Thanks, Erin, for sharing your Saturday with us!! 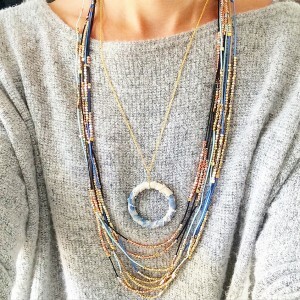 Smarties, we also have an AMAZING Smarty Steal from Erin on some of her jewelry through May 15th. 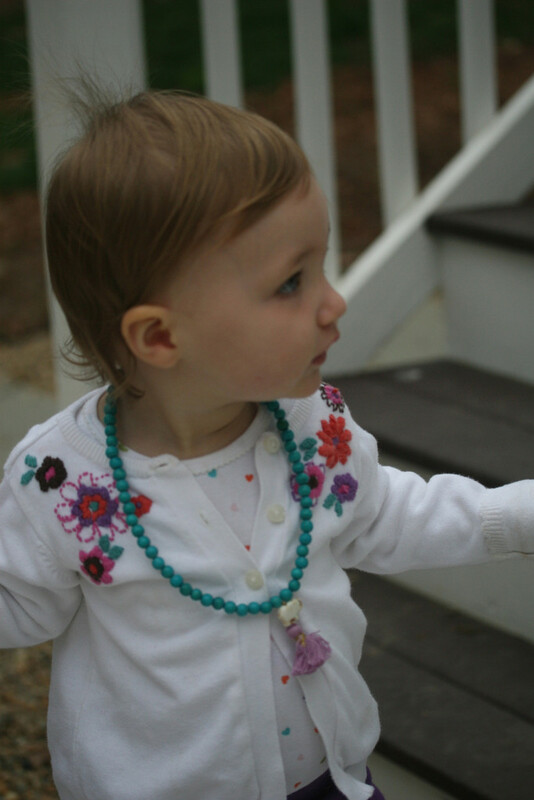 Just in time for First Communion and graduation gifts, Erin is offering the Pearl Cross Necklace/Bracelet at 25% off and Buy one-Give one and get a FREE little girl Lucky Elephant Tassle Necklace! 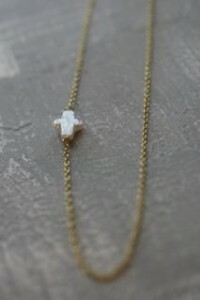 First Communion & Graduation Gifting: Erin McDermott Pearl Cross Necklace 25% off and BOGO Lucky Elephant Tassle Necklace! Smarty Hint to Hubbies – Pandora in Blakeney!